Come wet your appetite by the sea – You’ll be back for seconds! On the dining package, planning your weekend getaway is easy. When you arrive, settle into our resort with a glass of wine accompanied by a taste of Cabot Cheese. Then unwind in the Roman Spa to wash away the week. Head next door for dinner or ask us for a recommendation to a nearby restaurant. On Saturday, explore Ogunquit village, Marginal Way and more before returning. In the evening, enjoy your package dinner at one of three local dining favorites. 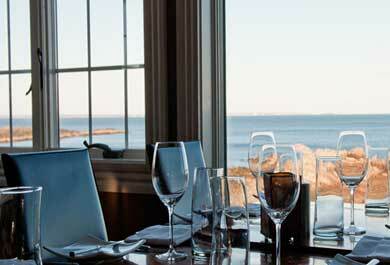 All options for our hotel on our Maine Dining Package are sure to please your taste buds. After all, our Eat Drink Be Merry escape has been a guest favorite for over 30 years. 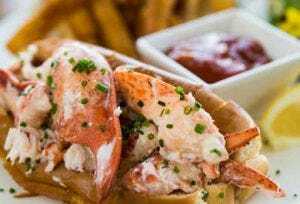 Guests rave about the value of the wonderful dinners, enjoying Maine’s seafood and returning year after year to The Meadowmere Resort’s luxurious amenities in the heart of Ogunquit. With indoor pool, award winning health club and evening shows in our TV Room, your Ogunquit Maine Dining Package is as relaxing as it is delicious. Restaurant choices for any package are based on dates of stay and restaurant hours. Breakfast type included is either continental or full based on dates of stay and package type.